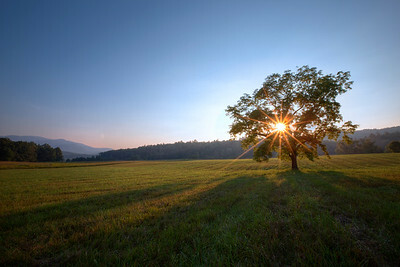 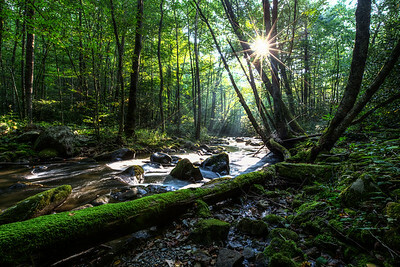 The sun peaks through the leaves of a tree in Cades Cove of the Great Smokey Mountains. 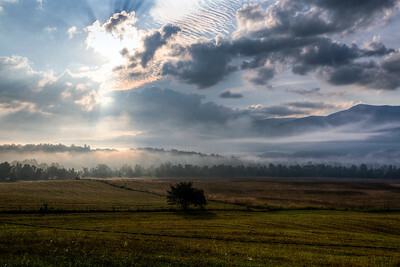 As the sun gets higher the mist in Cades Cove starts to recede into the trees. 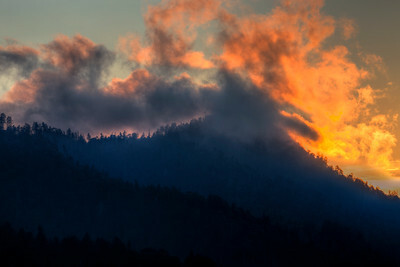 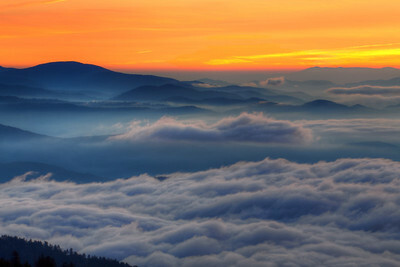 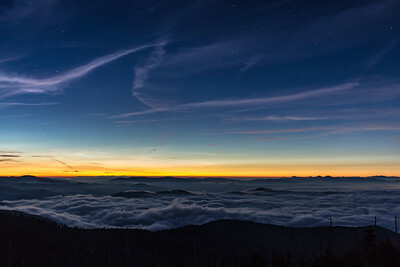 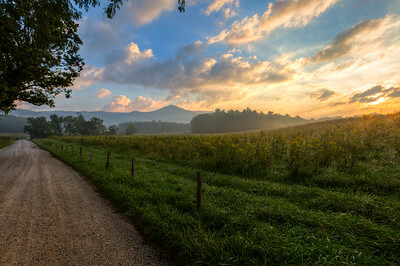 Out in the Great Smokey Mountains in Cades Cove on Hyatt lane watching the sunrise into the valley. 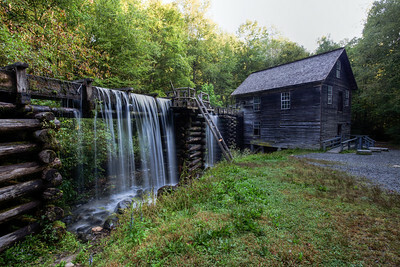 At an old mill in the Great Smokey Mountains of Tennessee the rain water overflows from the trough that feeds the mill.